As a licensed, bonded, and insured residential home builder, we are focused on giving you the quality work that you expect, while maintaining high workmanship, and a fair price. As a small company with low overhead, we are able to provide you with a very “hands-on” approach, while only charging you for the cost of labor and material. Providing the most cost-effective work at the highest quality is our promise to you. We are dedicated to any project, large or small, and gaining your trust is of utmost importance to us. We will do it right the first time, and will always be available for further questions after completion of the project. If you are tired of the high costs evident in this tough economy, reach out to us for accommodation. We are willing to work with customers dealing with many different circumstances, and we understand how important repairing your home is. Founded in 1980, American Builder Services has been at it’s 564 Baltimore Annapolis Blvd., Severna Park, Maryland location since 1985. It is owned and operated by Tom and Mike Brown. Tom Brown, Jr. has lived on Kent Island in Queen Anne’s County with his wife since 1988 and when not working, he enjoys the empty nesting life with his wife Sue, tracking the careers of his two sons, Lacrosse, and all of the standard Eastern Shore past times. Mike Brown lives in Crownsville, Maryland just a few minutes away from the office. When he has free time, he enjoys sailing and restoring his 51 year old Piarson Vanguard sailboat. American Builder Services, Inc. is one of a very few builders in Maryland that enjoy the distinction of being a “Certified Master Builder” as recognized by the Home Builders Association of Maryland. This only can come about with a long and continuous list of satisfied customers, high quality construction techniques, and a long history of financial integrity. Home Warranty Every custom home American Builder Services, Inc builds comes with a 10 year Quality Builders Warranty (QBW). Not every custom home builder in Anne Arundel, Calvert, or Queen Anne’s Counties can offer this warranty. QBW qualifies the builders it represents through random inspection of its builders construction projects and yearly financial reviews to assure that its members are sound and reliable new home builders. In 2005, QBW presented American Builder Services, Inc the “ Builder of Integrity Award” for having compiled 25 years of complaint free customer service. Today in 2014 American Builder Services, Inc. still has a complaint free customer service record with QBW and since becoming a member of the Better Business Bureau of Maryland in 1980, we have retained a complaint free AAA rating. American Builders Construction CO provides residential and commercial construction services for the Federalsburg, Maryland area. We specialize in the renovation and remodeling of basements, flooring contractors, Carpentry Contractors, kitchen's installation, roofing contractors, historic restoration, bathroom remodeling contractors, drywall and painting contractors. 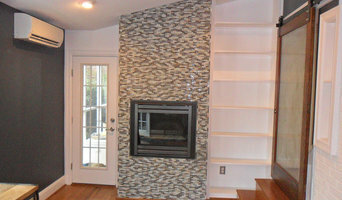 We buy older homes and do custom rehabs. 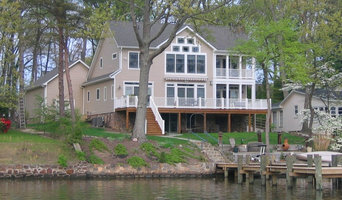 Paulco Homes has been building custom homes in Maryland since 1985. Since the inception of our business, we’ve maintained a clear focus to build better quality homes, at a reasonable price, and provide complete customer satisfaction throughout the entire process. At Robinson Brothers Construction, we employ five full time carpenters and two master carpenters. We have nearly 100 years of collective experience in the construction industry and are a fully licensed, bonded and insured company. For more than three decades, area homeowners have trusted Chesapeake Builders, Inc. in St. Michaels, MD for their new construction and remodeling needs. Known for quality work and professionalism, Chesapeake Builders Inc. is ready to tackle your project while keeping your specific needs in mind. Craig Willis, Owner and Founder oversees all projects personally to ensure all work is complete and meets our unparalleled standards. With more than fifteen years of construction experience, S Sweet Homes is the company to make your vision of your future home into reality. 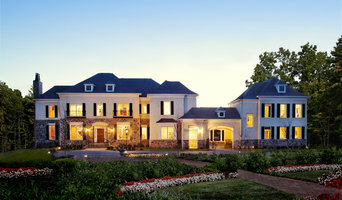 S. Sweet Homes is THE trusted name for new construction in Central Maryland. As your local home builder, we listen and understand what is important to homebuyer's. S. Sweet Homes makes it easy to find the home that is perfectly suited to your needs. From spot lots to premier subdivisions, custom designs and signature floor plans.With over 150 homes built throughout Maryland, S. Sweet Homes has something for everyone. S. Sweet Homes strives to deliver our home owners a quality built home that will far exceed expectations in quality, value and design. When you choose an S. Sweet Home, you are choosing a home that fits not only your needs but your lifestyle. You owe it to yourself to make your next home an S. Sweet Home….. affordable new homes for every stage of life. A small Maryland based construction company in Harford County, Maryland that does specialized construction from custom flooring to log, timber framing and unique wood projects out of reclaimed lumber. Welcome to Duerbeck Construction LLC, where we specialize in custom homes, additions, major renovations and whole house replacement. Duerbeck follows in the core traditions and values instilled by the owner over 3 decades ago when the company was founded. Today, we continue in that same tradition of superior custom design, exceptional quality, coupled with input from our customers. Our main goal is and always will be to accommodate your budget and lifestyle. Call today for the area's best!